an architecture: City of False Hopes. Games of change occupy an important place in the leisure industry. They usually function in secret, in back rooms, private circles or on the internet. In the last two decades the presence of games of chance has become more visible in Vienna. Betting "cafés" and arcades have opened on shopping streets and in residential districts. In Vienna (2011) there were around 3,500 legally installed slot machines outside casinos. It is impossible to estimate the number of unofficially installed machines. Slot machines have a special attraction, as a winning payout seems to permanently beckon. The operators are exploiting an addiction, and their profits come mostly from pathological gamblers or those at risk becoming so. It is a business of false hopes, because players - usually young, almost exclusively male, often with a migration background - have no change in long term: "Those who claim to have won," goes an old pearl of gaming wisdom, "have just not played long enough." Studies talk of the "heroin of the 1990s": the profits go to private individuals, but it is society that bears the follow-up costs. 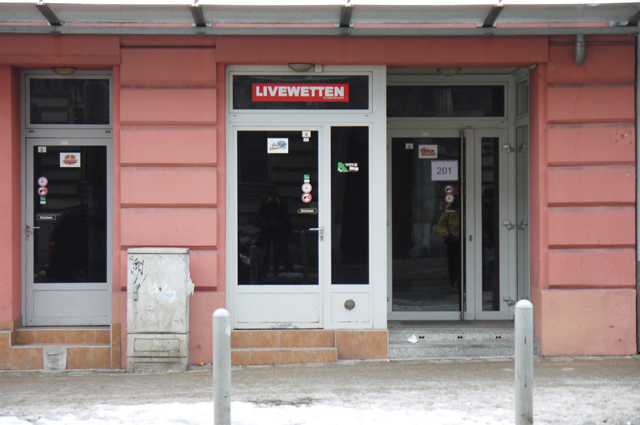 Note: Due to an initiative of the socialist party in the 8th district of Vienna (Sektion 8), who has overruled the governing mayor of the same political party (SPÖ), the so called "small-gambling" will banned in 2015. However, the mayor Michael Häupl has recently complained that because of this decision the city loses 55 million tax money.